At Your Service. 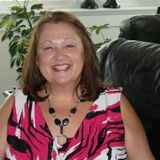 Mature,reliable professional with 10 years Nanny experiences! Experienced,mature,active, fun, loving and reliable. Thanks for viewing my profile. I currently have a term f.t. Nanny position with a family, 3 busy girls under age 7 years! I offer families casual service weekdays after 5 p.m. and weekends. Casual fees negotiable. I provide casual services thru a respected local Nanny agency also. In Aug. 2018 I completed 4.5 yrs. f.t. Nanny and light household tasks position for a terrific family. Their gal started kindergarten in Sept. 2018. I enjoyed a 2 yr position for a great family with a child and 2 dogs prior to that. I still casual child care/house/pet sit for these & other families! Priorities are providing loving child care,learning through; interactive play,crafts,songs,dance,music, art, reading,activites indoors and outdoors. I teach children positive attitudes, promote self-confidence, coaching in early life skills, language development and reading. Teaches children to deal with their emotions and understanding of acceptable behaviors to respect themselves and others. I prepare nutritious children's meals & snacks. Organized activites and participated in fee programs; gym,music,dance,swim lessons & responsible for family seasonal pool supervision. Enjoyed splash parks,nature walks and local playgrounds. Attended free family center drop in centers to socialize kids with peers with parents approval. I have a safe car, toddler seats,clean driver's abstract. Can provide registry checks,First Aid,CPR-C references and completed numerous professional dev courses related to child dev. Families arrive home to a clean and tidy household. Your children will enjoy with me; gardening,baking when age appropriate! During my career, I enjoyed being a YWCA Executive Director. My career shift in 2012 was made to what "I love", providing services to families to balance their busy lifestyles. Quality,consistent care for your peace of mind daily. Thanks! Laurie J.